It was purchased in the basement of Easons one morning on the way to work in 2009 and it should have come wrapped in a discreet brown paper bag. I was about five seconds pregnant, like 95% of its’ purchasers and terrified that anyone would know. I dipped in and out of that book all through pregnancy number one (and completely ignored it second time around). 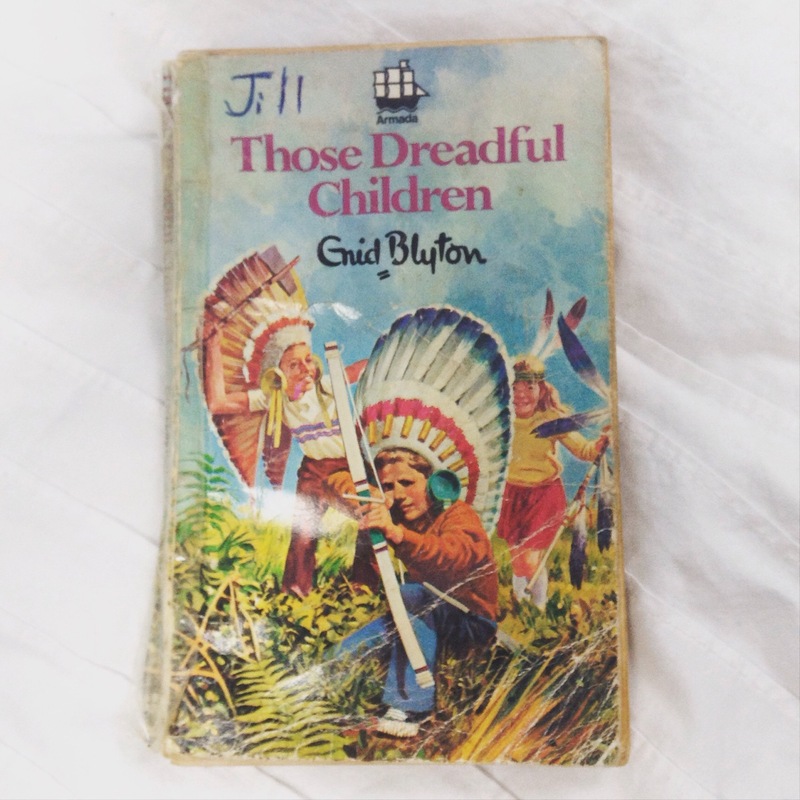 By the way, the dreadful children are most definitely Irish – Pat, Maureen & Biddy Taggerty are the ruffians in question. I’ll let you know but I’m pretty sure they’ll all end up having jolly good fun and drinking lemonade with the prim and proper neighbours by the end. This bit of retro-revision for me aside, as well as some old Ladybird readers, I got him a few Secret Seven adventure books for us to get stuck into together. That lot have got to be better the last little fecker I returned to the library; Horrid Henry. As long as I can scan the page ahead fast enough to edit out any casual racism of these old editions we’ll be fine. Cheers for that Enid. I remember that book well, or the cover anyway. I got my 6 year old the full set of Secret Seven and he’s devouring them so quickly I haven’t had a chance to read ahead. Oh if you’ve bought new editions you’re safe, it’s just that ours are all from the seventies. Oh really? The secret seven are new but the faraway tree and others are the originals. I’ll have to take a look. I remember you telling me about their dubious bullying tactics…that’s why I didn’t take that one! Our bedtime reading at the moment are some very very old “The __ Of Adventure” books I found on my bookshelf in Dublin. Dash is loving them, but the racism/classism/sexism would melt your face off. The naughty children in Enid Blyton were pretty much the normal children usually so far as I remember.